There are many strategies that households can undertake to reduce the fire risk to their property. Water Installations can design and install tanks, fire pumps, sprinkler systems and fire hose reels. We also manufacture steel-liner Rainwater Tanks to 120,000 litres. In the event of a fire, it has often been said that 25-30,000 Litres is the minimum requirement to douse the house sufficiently enough as the fire front passes through. 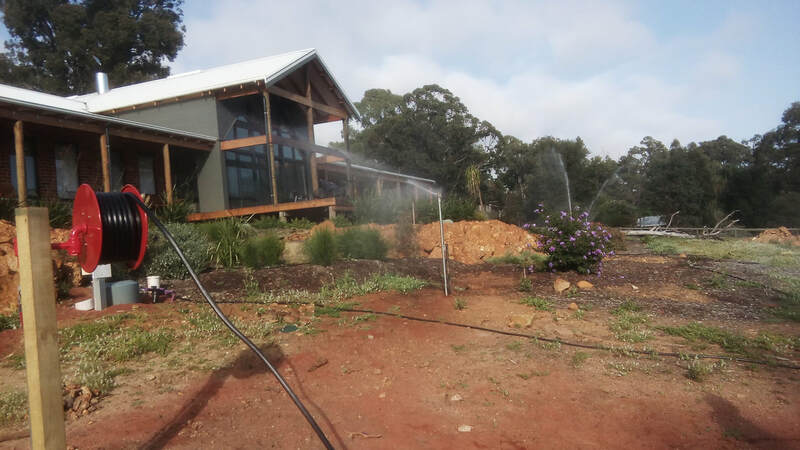 While our tank range does start at 30,000 Litres, most people put at least twice this size so they can use the water for other purposes while it is raining, and then save enough water for the fire season. Click here to find out more about our Fire Suppression systems.